Wolves At The Gate aren’t teasing any new material but have given fans something to tide us over until they get around to putting out some new music. The band’s new cover ep gives us an insight into the band’s influences and they makes sense. The band’s covers all stay true to the original. It’s nice to hear the band paying homage to some of their favorites, but it would have been great to hear Wolves At The Gate give some of the songs a new twist. The Deadbolt (Thrice) and Sleep Walking (Blindside) covers are fantastic, but it’s the cover of Thursday’s Understanding In A Car Crash that’s my favorite. The acoustic cover of Planning a Prison Break is a nice close to the ep. 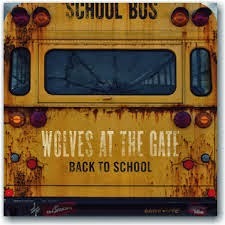 It’s good to finally get some new music from Wolves At The Gate. And while I wish it had been new music, it’s nice to hear the band pay tribute to those that influenced them.